This is a brand new Cd hand signed in person and Certified Authentic! Authenticity Features:- A Certificate Of Authenticity will be included from UACC Registered Dealer #237 / 2011 UACC Autograph Dealer Of The Year!- A hand signed lifetime guarantee of authenticity. - We document each of our in-person autograph signings and the date and location from when this was signed will be detailed upon request. 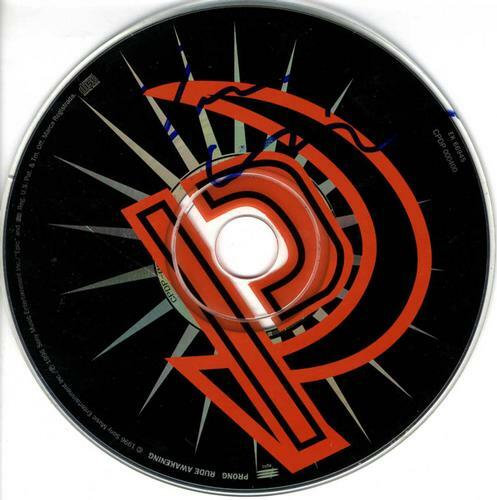 - Photo(s) taken at the time of signing for us will be included when available/shown.- There is a small crack in the disc but is un-noticable unless closely observed and does not interfere with the signature. Having documentation from a UACC Registered Dealer is the best in the industry. Membership of the UACC Registered Dealer program is exclusive to those who have proven themselves for having sold real in-person authentic autographs and each member's items is policed to ensure authenticity. Each Registered Dealer is bound to follow a strict Code Of Ethics. Add that to the fact that the COA is from the 2011 UACC Autograph Dealer Of The Year and the autograph certification here is simply unbeatable. Contact us if you'd like overnight or shipping upgrades.